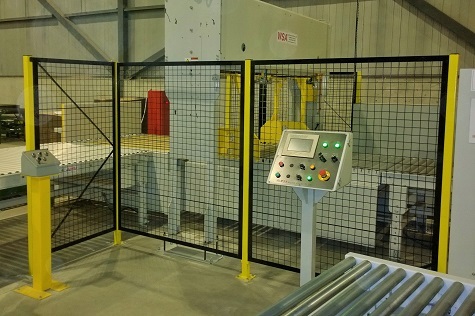 Machine safety guarding manufactured by Corptec Industries Limited of Newmarket, Ontario. We are an industry leader in the manufacturing and distribution of machine safety guarding, providing a complete product range at competitive pricing. We provide Soulutions and deliver value to our customers by engineering new designs and products, which increase productivity, enhance workplace ergonomics and decrease worker injury. Machine guarding is an important component in protecting your personnel from flying debris, weld flash and other dangers. Corptec's Modular physical barriers are engineered for ease of installation, modification and expansion. With our durable guarding, your facility is assured to be longer lasting and your employees will appreciate knowing thier workplace is Safe.